Detailing the physical features, habits, territorial reach and other identifying qualities of the Arrowhead Orb Weaver. A bright yellow triangle on a pyramidal abdomen is the unique trademark of an Arrowhead Orbweaver Spider. 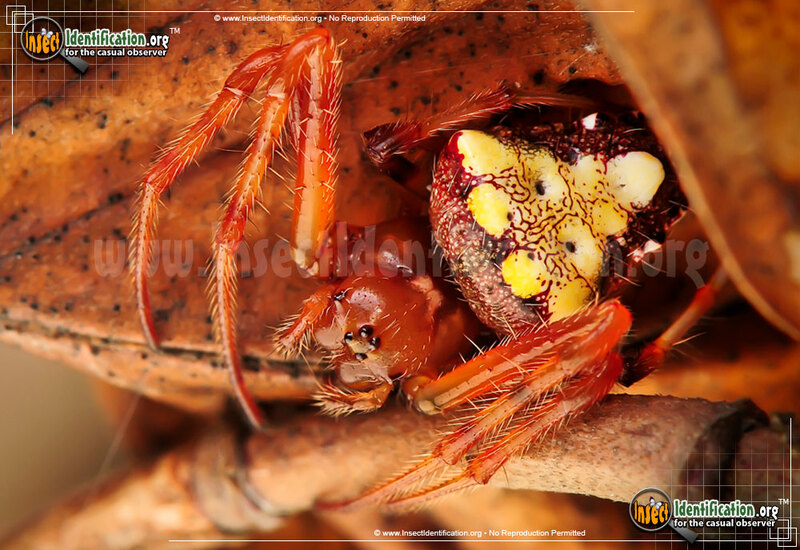 It is unusual to see a spider with an abdomen that is not round, especially in the Orbweaver family. Orbweavers are part of a huge family of spiders in North America. The round-shaped webs created by these spiders form a delicate spiral. Silk threads radiate from the center, and many species rebuild their webs every day. The star of the novel "Charlotte's Web" was an Orbweaver Spider. The Arrowhead Orbweaver, however, looks a bit different from its relatives. 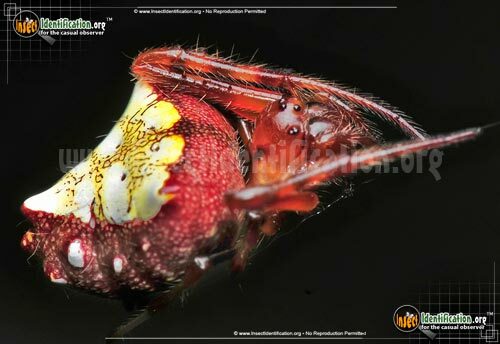 While more common varieties of Orbweavers have a bulbous abdomen, this species does not. Its abdomen is shaped like the tip of an arrow: triangular and pointy. A bright yellow or white triangle is stamped on the top of this abdomen making it easy to see and identify. Some smaller, vein-like markings on this area are red. The color of the body is reddish-brown though shades may vary depending on the individual. Though variations exist, generally the color pattern is the same among Arrowhead Orbweaver Spiders living in the same area. 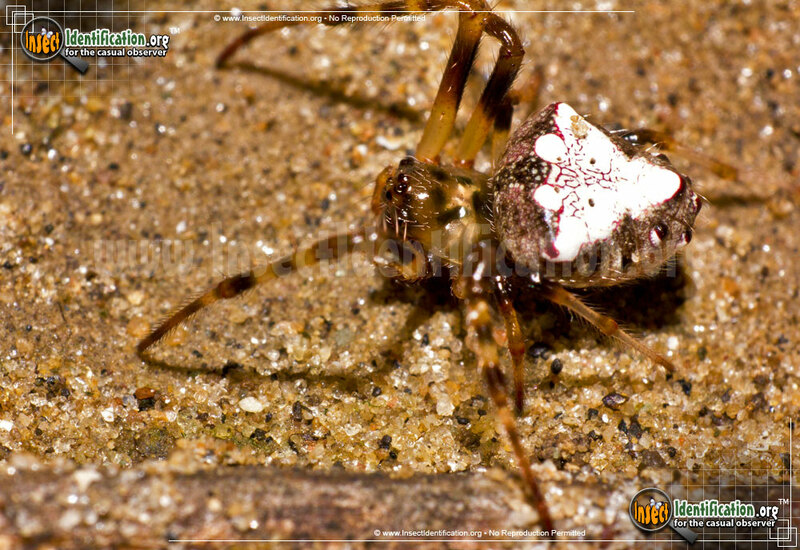 This spider creates webs in shady areas of a forest and sits on it with its head up. This is also a departure from the norm among Orbweavers as most others sit in their webs up-side down. The legs are tucked in at their sides, taking up as little space as possible, while it sits and waits for prey. Like other spiders, once an insect wanders into its web, the spider immobilizes it with a venomous bite and eats it later. Arrowhead Orbweavers are most active in middle and late summer. They can be found in wooded forests, hiding in the darker, shaded areas so tread carefully through these places.